Even though Russia’s internet-related businesses make up just 10 percent of the country’s GDP, more e-commerce and discovery commerce startups are looking at the U.S. market for ample investment and opportunities for growth. 2for1, a fledging Russian-Ukrainian startup is one such company that has tailored its project for the U.S. market. 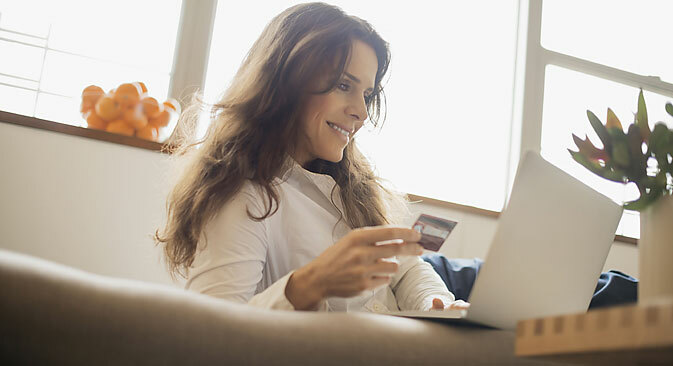 Being part of the rapidly growing discovery commerce sector, 2for1 aggregates the best sale deals of the 15 most visited online stores in the U.S. and Europe. Designed as a web site and Android application, 2for1 filters the biggest bargains in Macy’s, Nordstrom, Gap, Zappos, Nike, H&M, Asos and redirects users to the stores. “Initially, we had an idea to search and present fashion products with discounted prices to customers in Russia and Ukraine since many Russians and Ukrainians purchase clothes from the U.S.,” said Alexey Romanenko, founder of 2for1. He said that in the early stage of the project, 2for1 began cooperating with delivery services in Russia. “But then we saw that most of our users that had downloaded the app were from the U.S. They spent a lot of time surfing for deals and moving to the stores’ web sites that offered the biggest discounts,” Romanenko said, adding that 2for1 app has been downloaded 5,000 times over the last three months. The U.S. apparel market totals $250 billion and it’s the second largest apparel market after the European Union. Russia is currently the seventh-largest market at $4 billion, but it continues to shrink in the aftermath of the economic downturn. On the one hand, discovery commerce startups have more prospects in the U.S. where the apparel market is more developed than in Russia. On the other hand, experts say that high competitiveness and a saturated market for e-commerce startups could pose a major obstacle for newcomers. Oleg Tinkov, one of Russia's most provocative businessmen with a commercial empire ranging from frozen dumplings to retail banking, is pessimistic about the prospects for young Russian entrepreneurs abroad. In his recent interview with Russia’s “Secret Firmy” business magazine, he said that the U.S. market was “too complicated” for entrepreneurs that don’t have products or sales in Russia. Immediate profit or 10-year investment? Romanenko, who spent six months in Silicon Valley near San Francisco, said that the U.S. venture market is more predictable and does not put pressure on entrepreneurs to turn a profit immediately. “In Russia, your business will survive only if it proves lucrative in the first few years,” Romanenko said. He added that U.S. investors are not obsessive about immediate profit and are ready to make long-term investments. There are a growing number of startups of Russian origin that have thrived internationally. Among the leading success stories are Ecwid, a major provider of e-commerce solutions on Facebook with over 600,000 merchants in 175 countries. Another example of a successful project that comes from Russia is App in the Air, a mobile app that helps users track flights and explore airports. It was ranked among the 100 Greatest Apps by Business Insider. Coub, a globally known video editor that creates 10-second looped viral video clips, has grown so popular that nobody seems to remember that it was also founded by two Russian entrepreneurs that quickly raised $3.5 million from Russian and U.S. venture funds.